When the Pixel C was first released, there was a lot of speculation that it was originally intended to run a tablet version of Chrome OS instead of the Marshmallow build it eventually shipped with. There's still no easy way to get Chrome OS running on it, but today you can try the next best thing: the desktop-flavored version of Android developed by Jide. 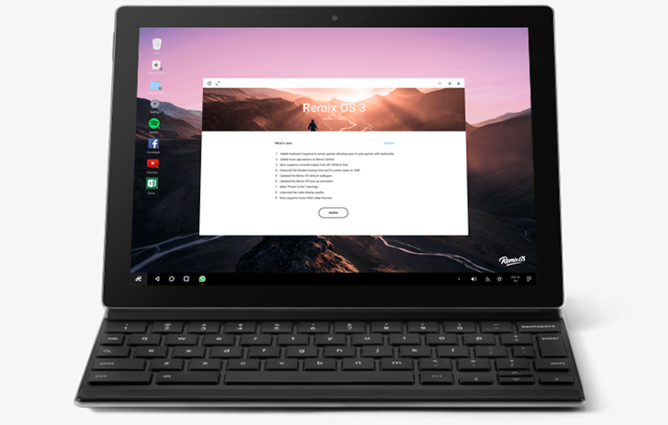 Remix OS, which was just recently upgraded to add code based on Android 6.0, is now available for the Pixel C. The Nexus 9, HTC and Google's 2014 offering, gets the same treatment. Remix OS has been going from strength to strength, even if the developers have had to remove built-in compatibility with Google services. A small but growing number of desktop and laptop designs are shipping with the software in China, and it's already available as a plug-and-play OS for x86 and x64 desktop hardware (without uninstalling Windows). If you haven't had a chance to check it out, and you don't mind flashing something new to your tablet, I'd recommend giving it a try. Oddly, Jide is only offering the builds for the Pixel C and Nexus 9 in torrent downloads. That saves some expensive hosting costs with peer-to-peer file sharing, but it means you'll need a torrent client like uTorrent to actually get the files. Once you install it you might want to add Google services, which aren't included in the software (very much like CyanogenMod and other ROMs). There's a work-around available that's fairly simple. Enjoy.